Top global producers Saudi Arabia and Russia agreed on Tuesday to freeze oil output in a bid to shore up prices after a 70 per cent drop due to chronic oversupply. Saudi Oil Minister Ali al-Naimi said the move — which is conditional on other major producers joining in — was designed to stabilise the market following the dramatic price fall since mid-2014. Further talks involving Iran and Iraq are due in Tehran on Wednesday. “We don’t want significant gyrations in prices. We don’t want a reduction in supply. 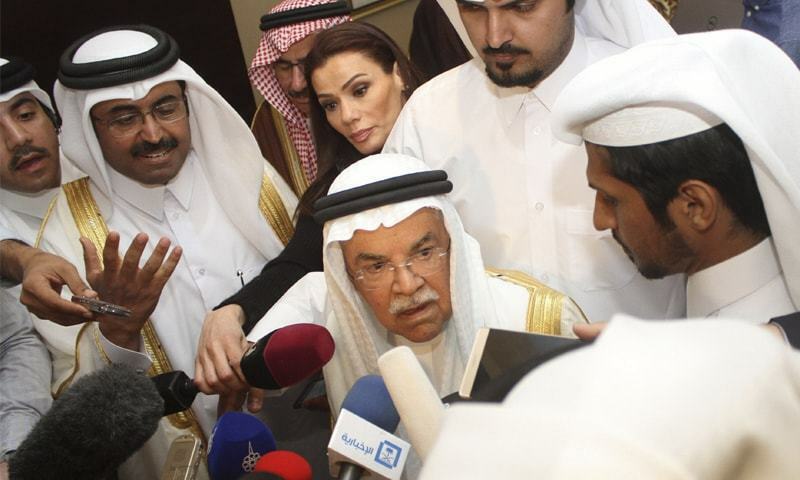 We want to meet demand and we want a stable oil price,” Naimi said. The announcement followed a closed-door meeting in Doha between Saudi Arabia — the de facto leader of Opec — Venezuela, Qatar and Russia, which does not belong to the oil cartel. “Following the meeting, all four countries are ready to freeze oil production at January levels, if other major producers do the same,” said Russia’s energy minister, Alexander Novak. The announcement marked the first move between Opec and non-cartel producers to stem the price fall since the slide began nearly 19 months ago. Saudi Arabia and other Opec producers have been refusing to reduce output in an attempt to drive less competitive players, in particular US shale oil producers, out of the market. Riyadh has said it would consider output cuts only if other producers agree to follow suit, and pressure has been building as drops in oil revenues hit government coffers. Russia in particular has seen its recession-hit economy damaged by the slump, though even Saudi Arabia has announced a record budget deficit. Naimi said Tuesday’s decision was “the beginning of a process which we will assess in the next few months and decide whether we need other steps to stabilise… the market”.